Gone were the days of tangled wires and large audio equipment just listen to great music. Today, wireless technological advancements are dominating the area of audio entertainment. Speakers have evolved in sound engineering and design. They’ve become versatile in a sense that these speakers are designed to meet specific expectations. Like size, audio quality, playing hours, and its resistance to water. Water-resistant means that a particular item may be able to resist water penetration to a certain level or depth. Waterproof means that water can’t penetrate through the device. 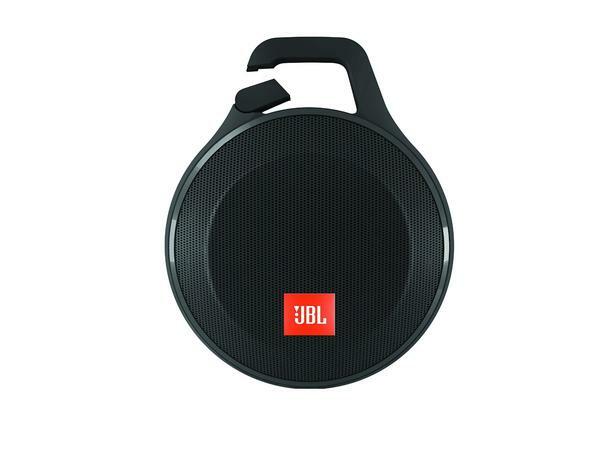 If you want to keep it small yet grand, then the JBL Clip 2 is for you. The Clip 2 has a rating of IPX7 for water resistance, and its battery can last up to eight hours. You can control this audio device using your phone. Pair it up with its Bluetooth 4.0 technology and listen to its excellent sound quality. 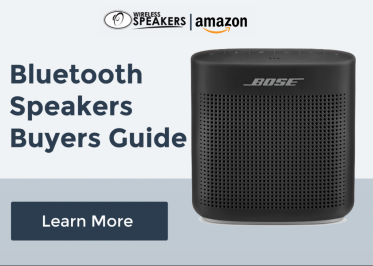 The speakerphone functionality is also available with this wireless speaker. 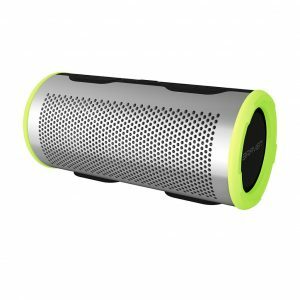 This wireless speaker is packed with a cool cylindrical design and an IP67 rating for water and dust resistance. The Braven Stryde 360 delivers a high-quality 360-degree sound via its high-fidelity audio drivers and passive radiators. This wireless speaker surprisingly has excellent bass delivery too. 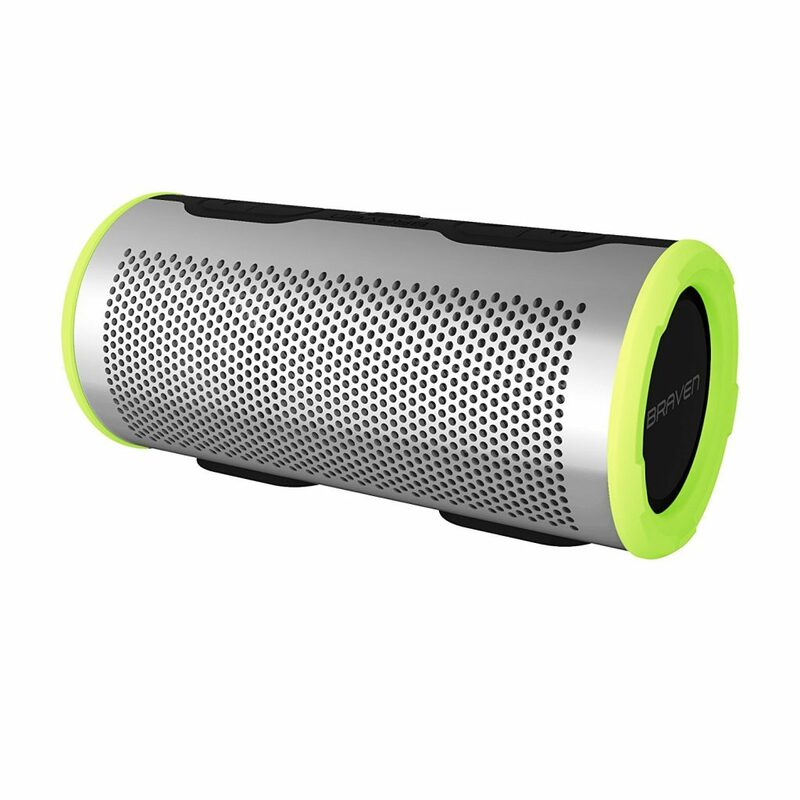 The Braven Stryde 360 also has a playback control right on the speaker. No need to step out of the shower and change your music. Would you prefer something big and sturdy? Then the Kicker Bullfrog BF400 is for you. Experience a compelling 360-degree sound experience which you can control via your smartphone. 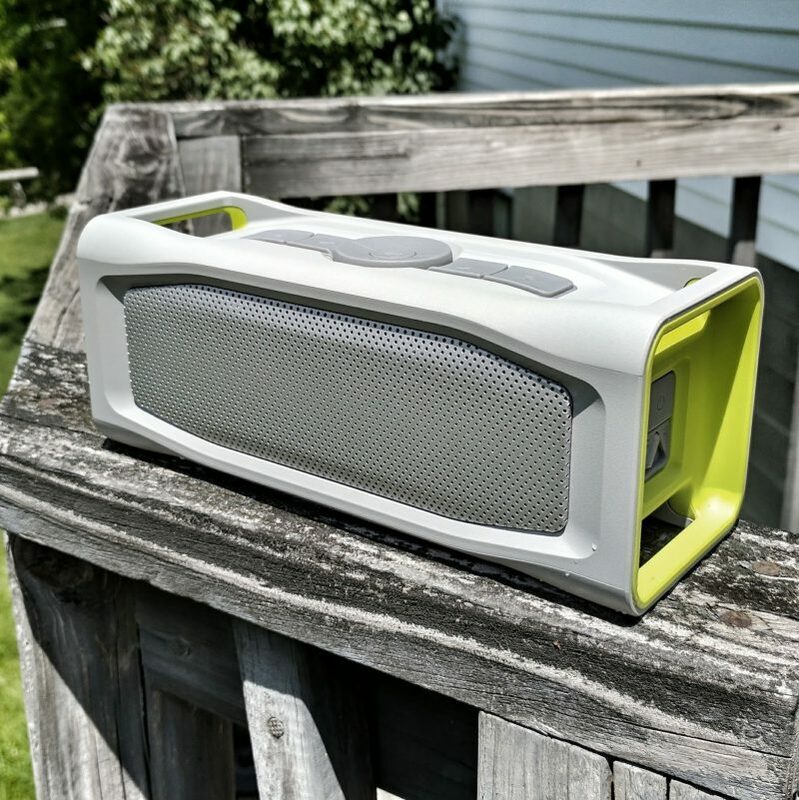 Unlike most waterproof speakers, the Bullfrog is a real deal. With an IP66 rating, which means it’s guarded against dust and can resist high-pressure water jets from any direction. When it comes to sound, the Kicker Bullfrog BF400 delivers a vibrant and decent bass response. But some distortion can be noticed once it’s cranked up at full volume. You can also pair two BF400 speakers for an even powerful stereo experience. 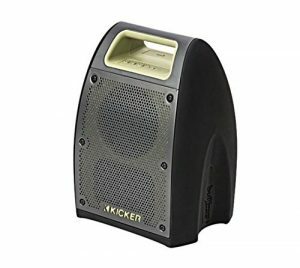 Play up to 20 hours of continuous music with the Kicker Bullfrog BF400. You can even charge your mobile devices with the speaker. For all beach bums out there, please pay attention to this portable wireless speaker. The Aquaphonics AQ10 is the legit wireless speaker for you. This wireless speaker weighs 1.7 pounds which work well for small to medium groups. This wireless waterproof to 3.3 ft, drop-proof to 4 ft, and can reach up to 94 decibels. The Lifeproof Aquaphonics AQ10 speaker has a built-in microphone for voice calls. This speaker can play up to 13 hours of your favorite songs on one charge. What’s even cooler is that the Aquaphonics AQ10 floats when thrown overboard. It also has a built-in, water-tight dry box where you can store cash, cards, and keys. Dubbed as the ‘Everything-Proof’ wireless speaker. It holds up to its name. Even explosives and bullets couldn’t stop this wireless speaker. 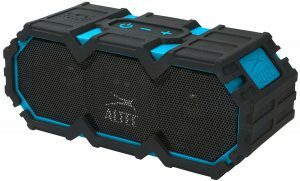 The Altec Lansing Life Jacket 2 features an IP67 waterproof, and everything-proof rating. It has a floatable and submersible design that provides a 30-foot range along with extra audio horsepower. With 16 hours of battery life and an onboard power bank to remotely charge your portable devices. So those were the top waterproof wireless speakers. They may differ in a lot of ways, but they serve one purpose. That’s to improve entertainment even in the presence of water.